First of all Happy Anniversary to our son and his wife who have been married for 16 years! Today we invited our son and grandkids over while their mom went to garage sales with her sister and a girlfriend. Our son refers to these visits as his trifecta – tennis, lunch, and a nap! After tennis we all went out to lunch. I had a vegetarian Philly (half roll only) and some fries. John had buffalo chicken wings and a salad. After lunch and a game of chess, our company departed and we took the nap part of the trifecta. 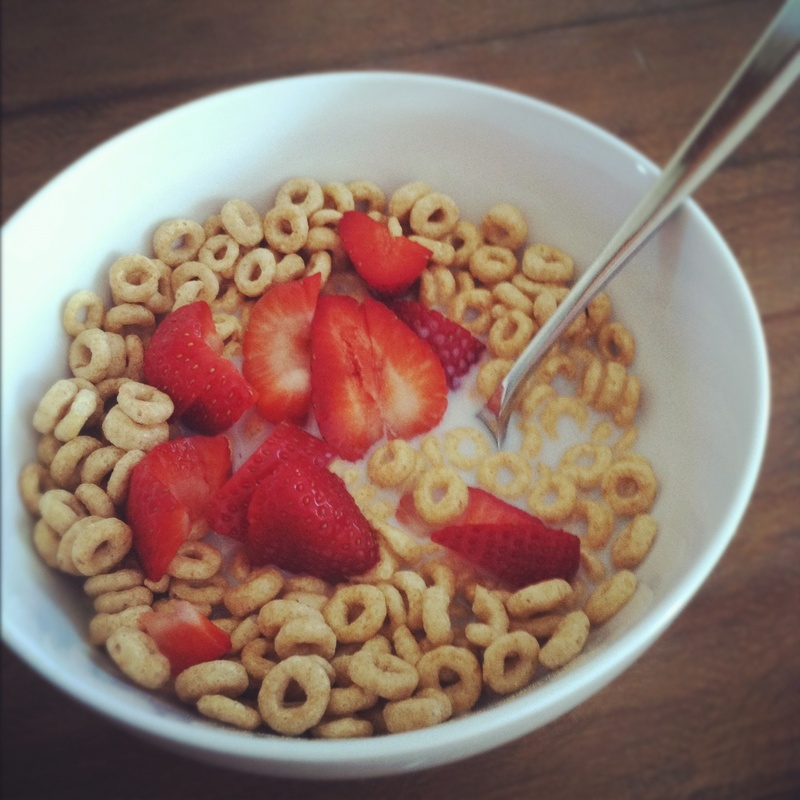 When it got to dinner time neither of us was very hungry so we ate a bowl of Cheerios with strawberries. Sadly I will have to reprint my menu because the week is now screwed up. Sigh.